American casino history goes back to Wild West with its saloons. Western saloon combined bar and various entertainments attracting cowboys, soldiers, fur trappers, gold seekers, travellers and everyone else who was searching for new impressions, drinks, music and relaxing. Thus, people usually gathered in saloons that were the most crowded buildings in the whole city. The first saloon was built in 1822 at Brown's Hole, Wyoming and served the needs of travellers, citizens and people from neighboring locations. Later on saloons appeared in other American regions such as Chicago, St. Louis, San Francisco and New Orleans. These 4 cities lured people from different corners of the United States and other countries. During the era of Gold Rush San Francisco was the source of gold and attracted gold searchers from all over the world. It is common knowledge that at that period St. Louis has become the center of fur and skin trade. New Orleans was an open door to Texas with its horse industry and proud cowboys with all their riders' skills that later became legendary and were admiringly described in masterpieces of the world literature. And Chicago was famous for its brewing masters attracting everyone who succumbed to temptation of alcoholic drinks. Gambling with its courage for adventures and risk taking could not avoid Americans with their lust for adrenalin. It is necessary to mention major gambling waves that affected American gambling history. First gambling wave (1600-mid 1800) came to American settlers in British colonies in the form of lotteries. Attitude to land casinos standards was different from one colony to another. But at large it was popular among people because the desire to investigate new lands (inherent to settlers) was similar to expectations and risks in gambling. Both exploring and gaming were deeply based on luck, opportunities, skills and motivation to win. Participating in lotteries has slowly become the part of everyday routine and even civic responsibility involving more and more colonies but during the early 1800 there was a wave of hostility against gambling. Increasing pressure on gambling legality brought to emergence of illegal activities. Thus, in 1833 Pennsylvania, New York and Massachusetts banned lotteries. Later on in 1840 most states followed their example and officially banned lotteries. Second gambling wave (mid 1800-early 1900s) started with the expansion of the western borders. Gold Rush, fur and skin trade and growing brewing industry pushed the gambling progress. First Gambling city was San Francisco. Boycott set on gambling did not nullify it but drove it underground! In 1850s New Orleans became new gambling center in America. Therefore, lotteries and other gambling activities were revived in South and other American states. Outside the law gambling era took place in early 1900s when the United States have laid strong gambling laws regulating gaming industry. Thus, gaming was prohibited throughout almost all states and became totally illegal activity that involved mafia groups and organized crime. Third gambling wave covered America in early 1900s and lasts to present days. 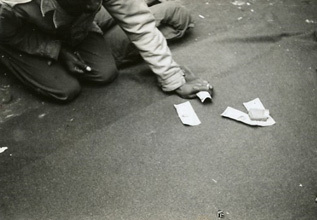 Great depression connected with illegal activities and mafia crimes resulted in legalization of some gambling entertainments. Large financial crash on the stock market in 1929 changed antigambling atmosphere. Later on Michigan, New Hampshire, Ohio, and California began to legalize horse racing and legalized pari-mutuel betting. More reasonable attitude of the government to gambling has opened new era of opportunities for casinos and players. Nowadays gambling industry is the best entertainment that attracts gamers from various corners of the Earth. The World Wide Web makes it possible to deposit casinos accounts and withdraw winnings online. You can choose among the variety of different gambling adventures and enjoy the Golden Era of online gambling technologies.